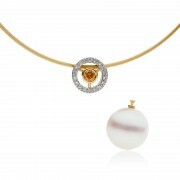 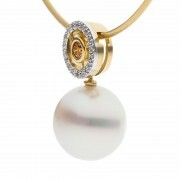 This interchangeable pendant allows you to remove the pearl and wear just the stunning diamond pendant by itself. 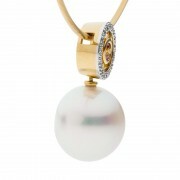 The chain acts as a lock securing the pearl in place when you decide to wear it all together. 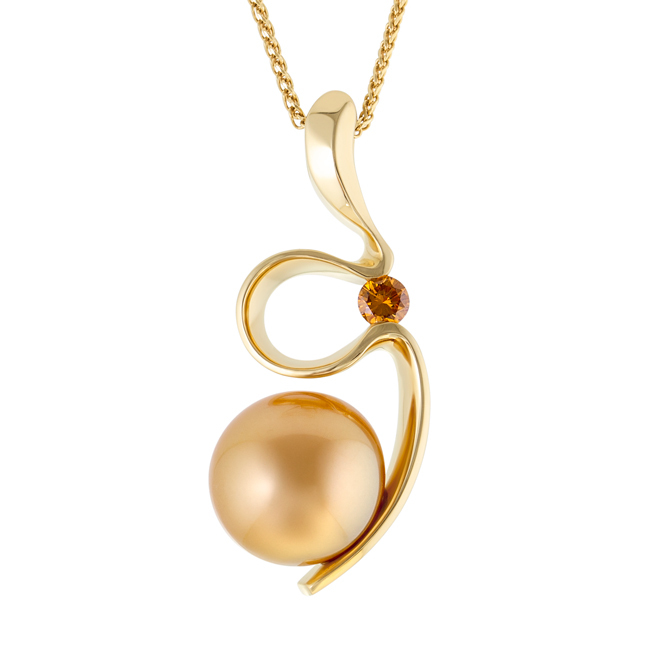 The South Sea pearl is button shaped allowing it to view as round from the front, but sit flatter to the neck from behind for a better overall presentation. 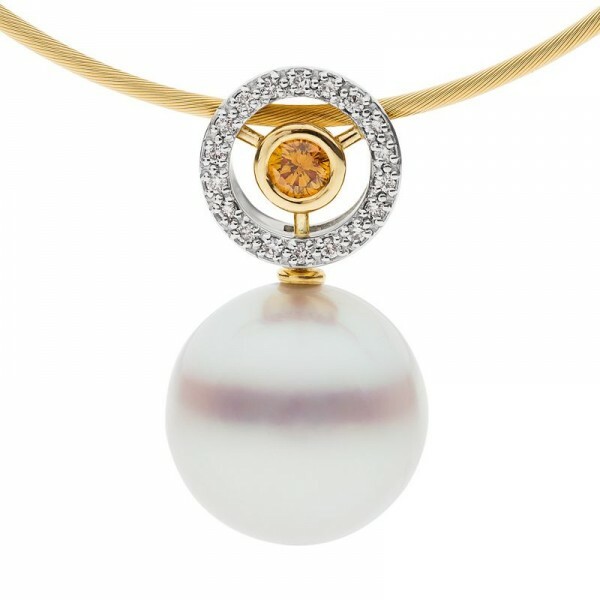 A rare natural coloured orange diamond floats in the centre of a halo of pavé set white diamonds. 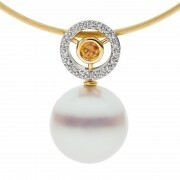 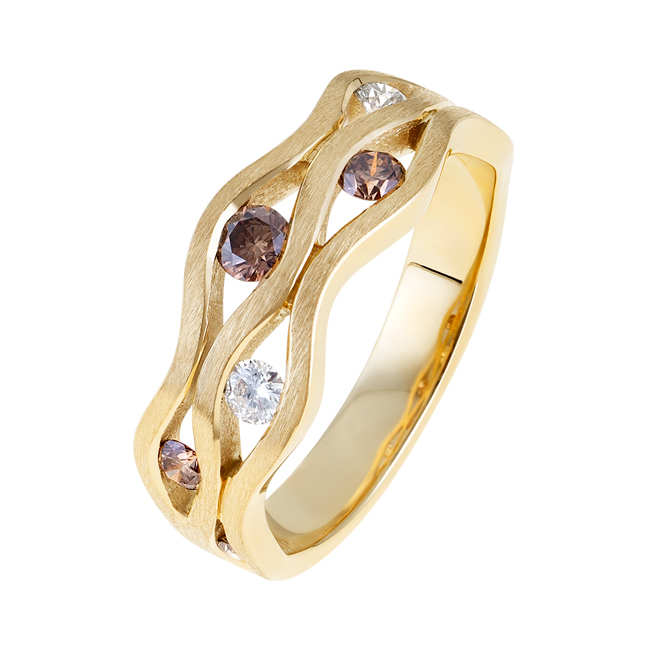 This piece is the ultimate for choice and wearability, essentially giving you two in one; both being truly spectacular.